Product prices and availability are accurate as of 2019-04-23 03:29:08 UTC and are subject to change. Any price and availability information displayed on http://www.amazon.com/ at the time of purchase will apply to the purchase of this product. 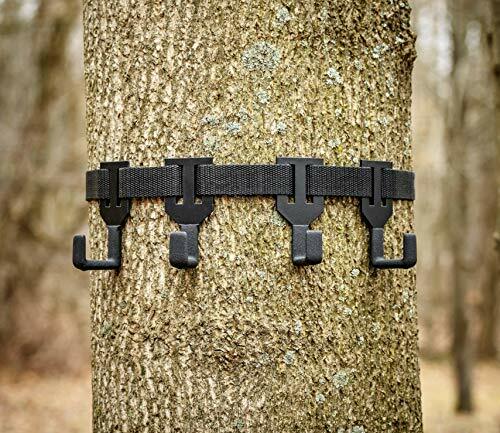 The TREESTAND GEAR HANGER eliminates the need for multiple screw-in hooks. 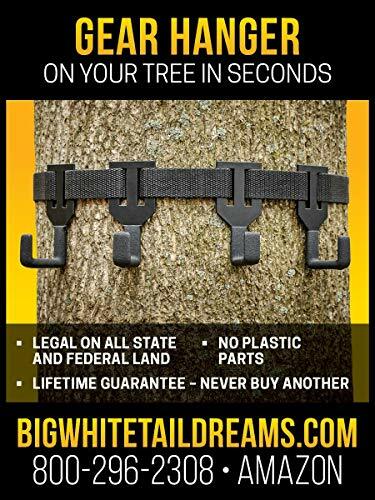 It attaches to your tree in seconds. 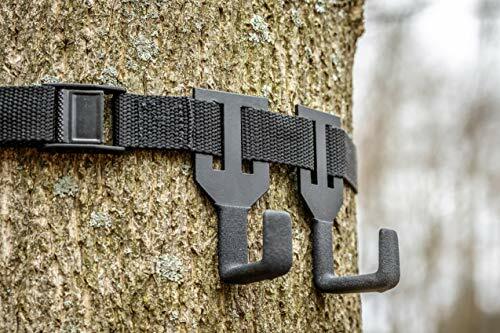 All METAL CONSTRUCTION features 4 large J-HOOKS and a 200 pound rated metal cam buckle. 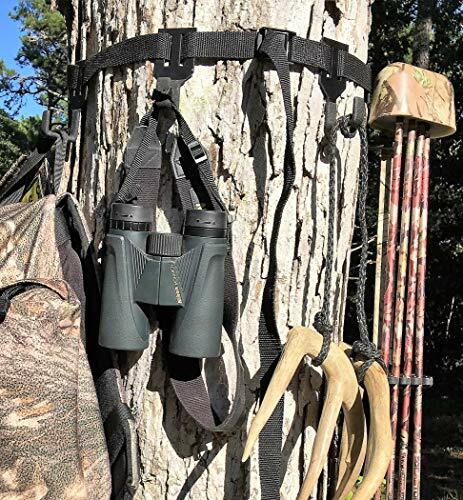 NO MORE WORRIES, about hanging your heavy pack or valuable camera and binoculars on a weak screw in hook or plastic hook and plastic buckle assembly.